* Chuck E. Cheese’s Introduces All You Can Play Gaming. Just finished reading the below story on qsrmagazine.com. As the former (23 years ago) CEO and majority stockholder of a Florida based Discovery Zone franchise (similar business as Chuck E. Cheese’s) it’s interesting to me as -to how in recent years Chuck E. Cheese’s has taken a number of steps to revitalize its children’s oriented business! Trust me I’m no genius, but 23 years ago- I saw very ominous black clouds forming over the children’s play-business and orchestrated a sale of the Florida franchise to Blockbuster Entertainment- resulting in a handsome profit for all of our shareholders! 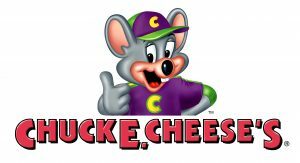 Jeff Eats wishes the folks at Chuck E. Cheese’s the best of luck. That said, in my mind, the only difference between the Titanic and Chuck E. Cheese’s is that the Titanic had a live band! Guests can play any game, any day of the week, as many times as they want. Chuck E. Cheese’s is trying out unlimited gaming. Chuck E. Cheese’s is switching up the “eatertainment” game with an “All You Can Play” experience at company-run locations nationwide. Instead of tokens, guests will now be able to buy time to play all games, any day of the week. Typically, tokens can cost 20 cents each for 150, or 25 cents apiece for 40. The chain introduced a card-based system, Play Pass, in 2016, which allowed users to buy cards with prepaid points and keep track of tickets. And while games typically cost different amounts of tokens, the All You Can Play model allows users to play any game during their allotted time period. They can also pause the purchase up to two times, in case they want to grab a meal, use the bathroom, or just take a break. Both options will remain in place for now. Of the 608 units, 519 are company run by CEC, the company owned by Apollo Global Management LLC. The firm also runs 147 Peter Piper Pizza units and purchased Qdoba from Jack in the Box in mid-March for about $305 million in cash. Last August, the company introduced a fresh design featuring an open kitchen, updated exterior, and a Birthday Zone with different party sections. Read more about the redesign here.